HWU utilizes state-of-the-art instrumentation, communications, and software in order to deliver secure and reliable system information to operations and management, to meet constantly changing regulatory compliance, to maintain security throughout our facilities, to manage operational performance and to control costs. 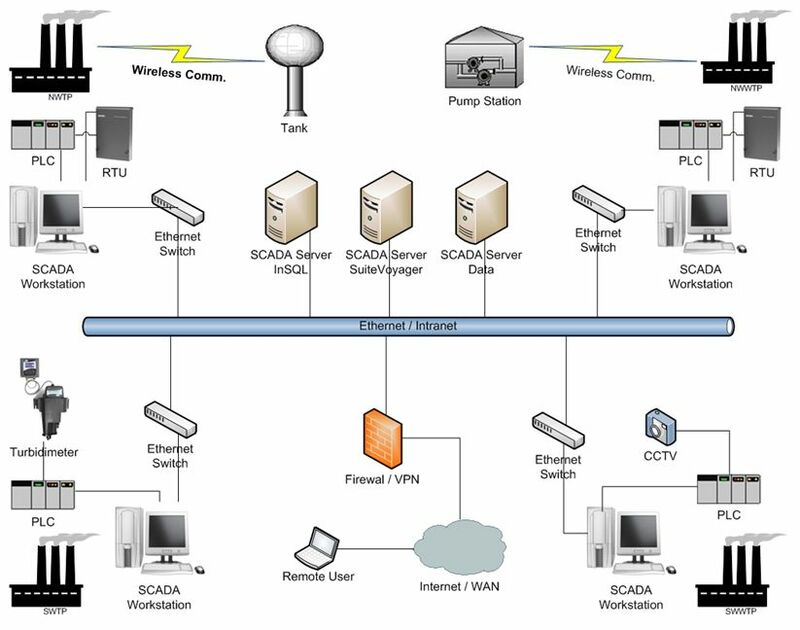 There are many separate components that taken together, along with decision logic, comprise the HWU SCADA System. The definition of SCADA is ‘Supervisory Control And Data Acquisition’. The major function of SCADA is to acquire data from remote devices such as valves, pumps, feedback sensors, limit switches, transmitters, etc. 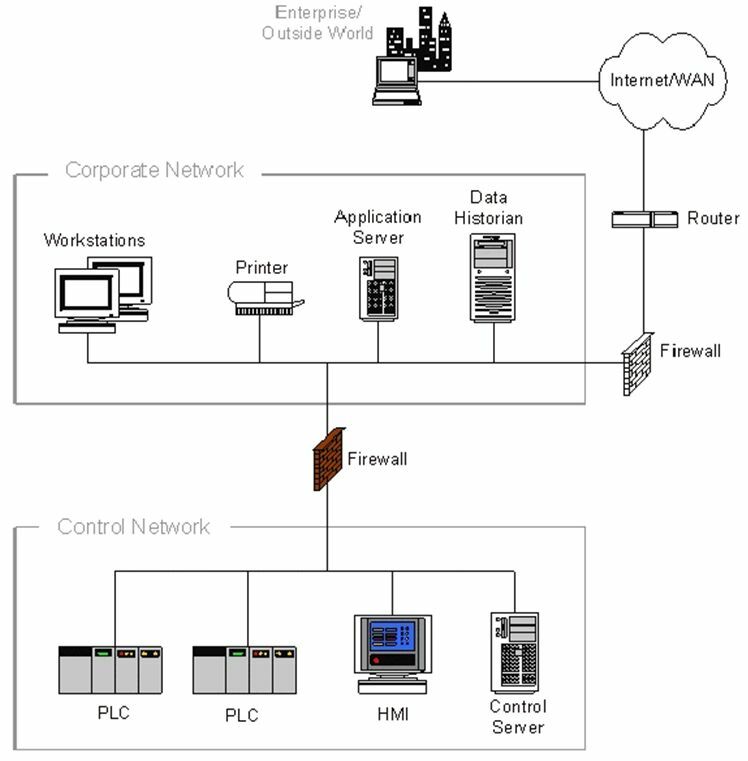 and to provide for overall control remotely from a SCADA host software platform, or Human Machine Interface (HMI). This provides process control locally so that these devices perform their functions at the right time, supporting the control strategy and providing a remote method of capturing data and events (alarms) for monitoring and controlling these processes. The HMI also provides functions for graphical displays, alarming, trending, security, and historical storage of data as well as providing data to other business applications such as reporting, GIS, Engineering and Public Information. HWU utilizes a variety of field instrumentation communicating with GE-IP PLCs and Zetron RTUs. Several communications protocols are used, including Modbus, TCP/IP, EGD, SNP, Genius Bus, Hart, and serial. Our HMI visualizations, Historian databases, Analytics, Alarm databases, and Reporting are all part of the Invensys Wonderware software suite. HWU has in-house Automation staff responsible for design, development, implementation & maintenance of all aspects of the Automation/SCADA system encompassing four treatment facilities, nine water storage tanks, two water booster stations, fifty eight sewage pump stations, eleven CSO point locations, two Canoe Creek level locations and various system pressure measurement locations and rainfall/weather stations throughout our service area. Additionally, field instrumentation with SCADA is often used for engineering work such as I/I studies and flow analysis. Our Automation LAN is comprised of many locations communicating by various means, including Wi-Fi, Wireless Ethernet Radio, UHF Radio, and Ethernet. HWU maintains cyber security through various best practices including separation of our Automation LAN from the corporate network. The modern process control systems continue to get larger, generate greater volumes of data, have increased levels of fail-over, suffer with staffing issues, and are more and more commonly operated from remote locations. As this trend continues, it becomes increasingly important to have effective automation & SCADA systems in place, operated and maintained by knowledgeable personnel. HWU is fortunate to have excellent operators equipped with the proper tools to make informed decisions. For more information, contact the Automation Department, at (270) 826-2824.